Elliot R. Warren was born in New York, New York in 1950; and was admitted to the bar in New Yorkin 1975, the District of Columbia in 1977, and Connecticut in 1985. Mr. Warren attended the University of Rochester (B.A., with distinction, 1970) and George Washington University (J.D., with honors, 1974). 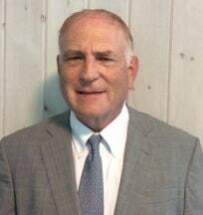 He served as Trial Attorney, Antitrust Division, Department of Justice, 1974-1977, and as an Assistant U.S. Attorney in the District of Columbia, 1977-1983; and the District of Connecticut, 1983-1987 (Chief Fraud Counsel, 1985-1987). Mr. Warren is a member of the Connecticut (Member, Sections on: Criminal Law; Federal Practice) and American (Member, Sections on: Criminal Law; Litigation) Bar Associations; and the District of Columbia Bar.